How do I register as a freelancer? 1. Enter our Sribulancer website, click the "Register" button that is placed in the upper right corner. 2. You'll be directed to our registration page where you can select the right button "Register as Freelancer". 3. Fill out your personal information in the space provided. 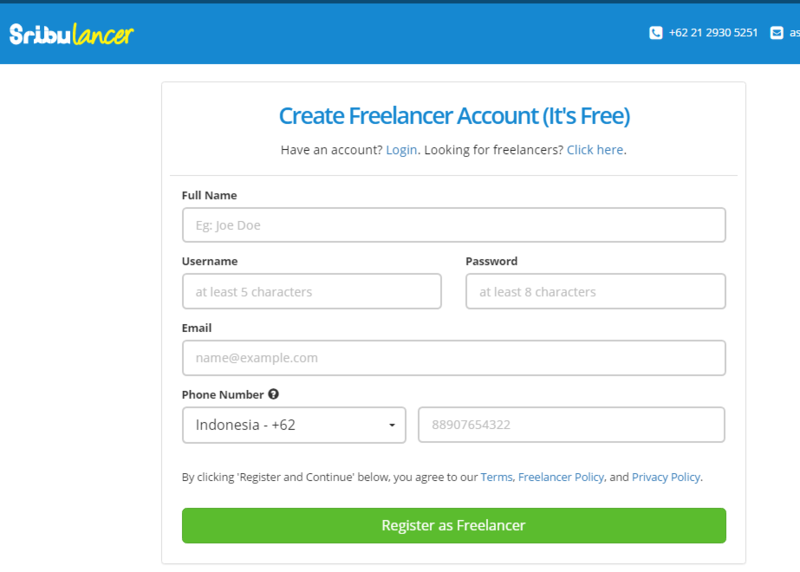 Once you're done, click "Register as Freelancer" to continue. 4. Welcome to Sribulancer! 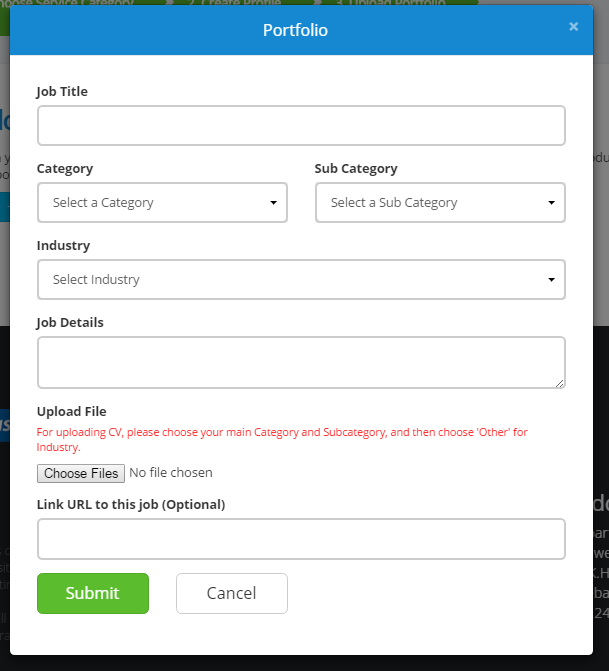 Pick the job categories that are within your expertise based on the provided categories. Complete other details about your skills and click Submit to store your data. 5. You'll then be directed at your profile page. 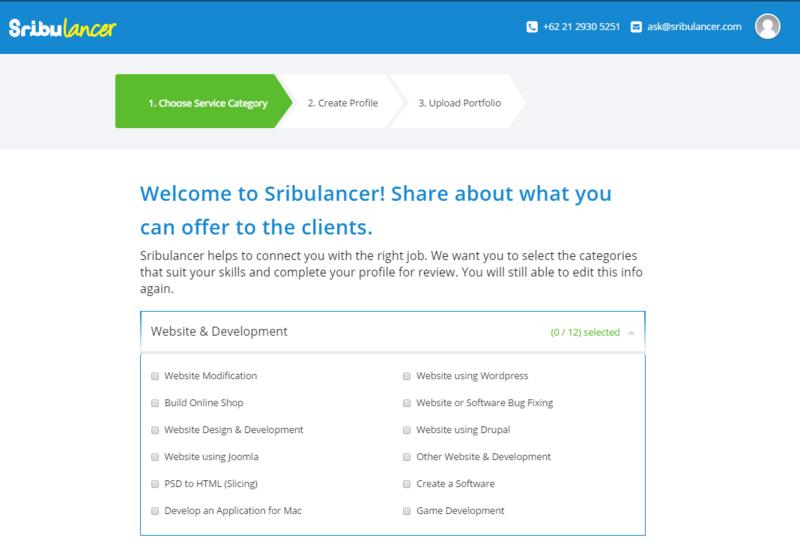 Continue to upload a profile picture to assure the potential clients in Sribulancer. Continue to fill out other details based on the provided scape below. Lastly, fill out your phone numbers and your City information. 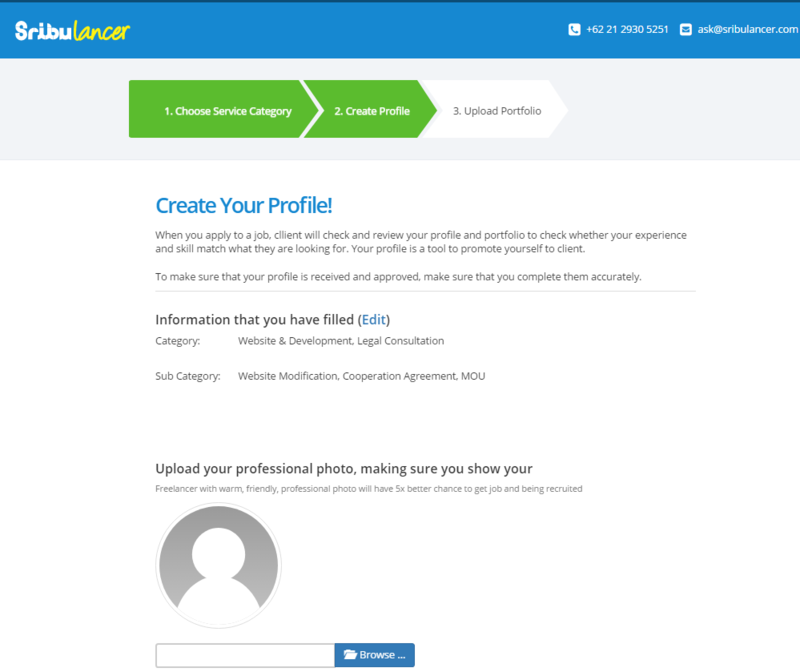 Click "Save" to finalize your profile perfectly. 6. Next up is the Portfolio page where you can add your work results to showcase your skills and certain expertise. Fill in the provided space and click the "Choose Files" button to add a portfolio. Click "Submit" to upload the files. 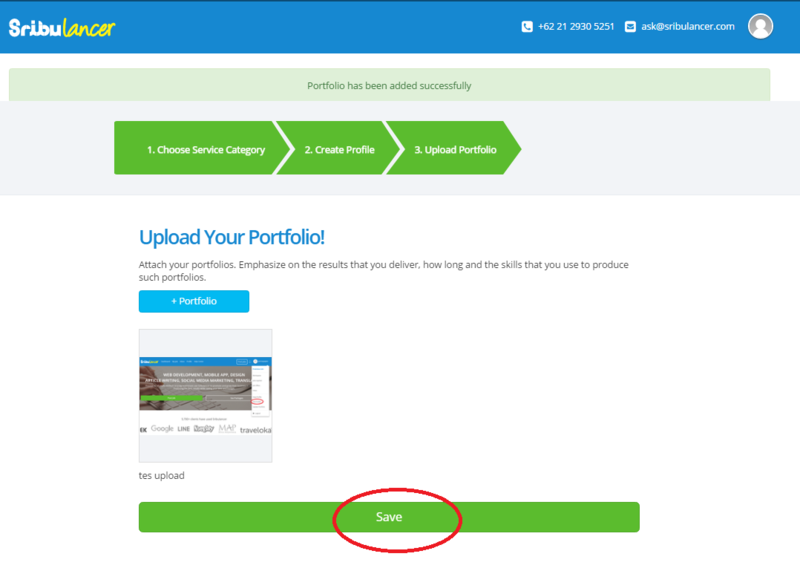 Store your portfolio by clicking the "Save" button. 7. The last step in completing your registration process is by activating your freelancer account through email verification. 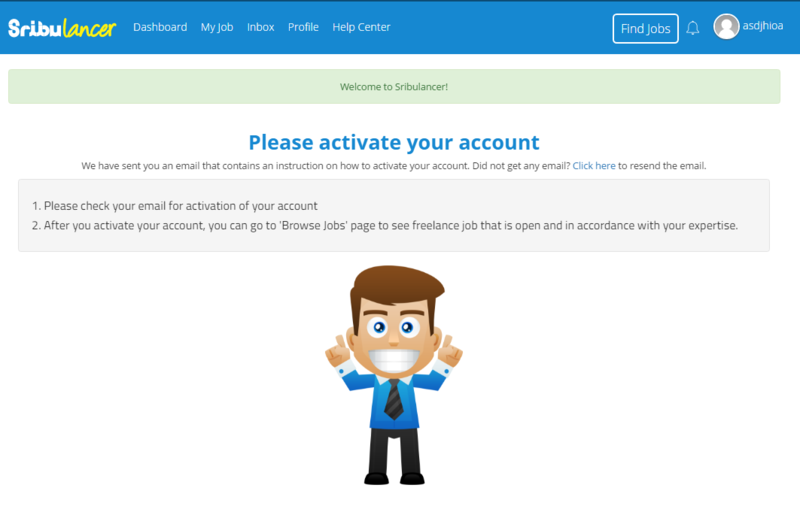 Follow the link given to get your email from Sribulancer and click on it to verify your freelancer account. If you are yet to receive the email from Sribulancer, please check your spam/ trash folder. Congratulations! 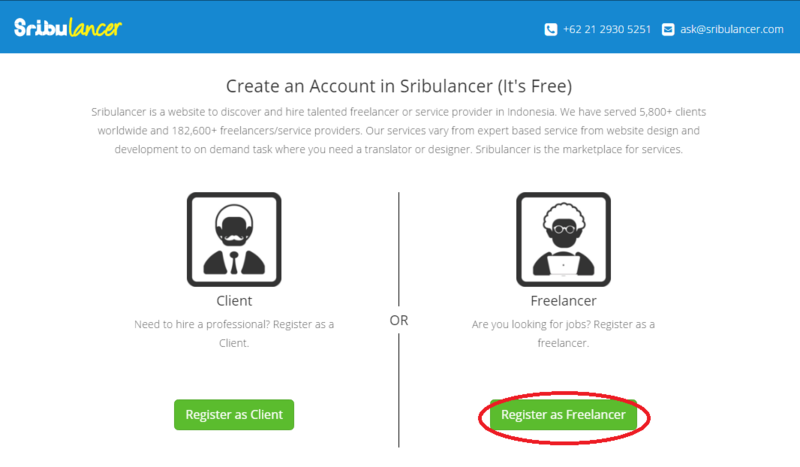 Now you are officially a member of Sribulancer freelancer. Complete your other details in the profile and start looking for your first job from the available vacancy!